It's quick and easy to make a purchase. To browse through our products, select a category from the drop-down catalog menu above. As you find products you want to purchase, just click on the 'Buy Now' button. When you're ready to check out, simply click the 'Checkout' button. If you are a returning customer, you may log in now. Privacy Notice: "Yes, you do need to create a profile so that the store can track your purchases. The Store does not require any sensitive information such as personal identification numbers, social security nos. or credit card information. There is a PayPal payment option - this is the only option other than mail-in money order or Western Union. When you select the PayPal payment option, you are brought to the PayPal site, where yes, there is an SSL security certificate that protects your credit card information. You can buy in complete confidence from Carol's Store - none of your information is shared with any other entity. The Store has been around for quite a few years and continues to serve many 1,000s of happy fans and customers." 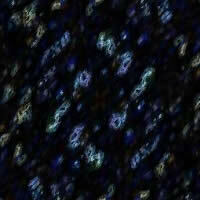 Endorsed by Joel Leach, 10-yr. winner of Pacific Jazz Festivals, (ret.) Music Head of Cal-State Northridge, Plas Johnson, jazz/studio sax legend ("Pink Panther"), and Nelson Riddle in his book Arranged By. Bass educator at Henry Mancini Institute, UCLA from 1997 through 2004. 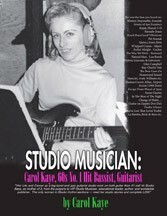 Q in 2008: "Carol Kaye is the best bassist I've ever heard." From Carol K to Quincy: "Thank-you Quincy! You made the great movie scores you wrote fun to record. We musicians admired you, loved your genius music, and great humor. You're the Tops! Your bass player-fan, Carol K"
"Carol taught me more about the bass than is decent." Sting, Mo Foster, John Paul Jones, Stu Hamm, Abe Laboriel, Jaco Pastorius, Tiran Porter, Nathan East, Christian McBride, Leon Gaer, Joel DiBartolo, Bill Bodine, Mark Eagan, Chris Gordan, Anthony Wilson (Guitar), many more. John Clayton (who played elec. bass w/Count Basie in 70s), Charles Meeks Chuck Mangione), Jim Hughart, Reinie Press (Hair), Bill Laymon (David Nelson Band), Tony Sales (Bowie), Roy Vogt, Pat Putter Smith, Alf Clausen (Simpsons TV composer), Morty Corb, Whitey Hogan, Ron Bland, Abe Luboff, Robert Russell, Steve LeFevre, Jeremy Cohen, Arnie Moore, Mike Schnoebelon (Manhattan Transfer), Trey Thompson, Don Bagley, Dave Edelstein, Bob Stone, David Hungate (Toto), Max Bennett, Mitchell Penland, Tom Winker, Dave Dyson, Ray Neapolitan, Pat Senatore, Alison Prestwood, Luther Hughes, Harvey Newmark, Robin Mitchell, Ron Bland, Frank Carroll, Scott Hinkle, Bob Berteaux, Lane Baldwin, Monty Budwig, Richard Maloof (Welk), Bruce Stone, Mike Porcaro, Steve LeFevre, Marco Panascia, Aziz Hashmi, Kevin Hsieh, Bob Apperson, John Garnache, Jazz Guitar: Gabe Manzo, Rob Gallagher, Kevin Downing, and 1,000s more.